The SISSI project is a three-year project focusing on the design and development of a multi-sensor portal for train safety. MICC participates in this project. SISSI is funded by the Region of Tuscany and MICC contributes its expertise in video and image analysis to the project in order to analyze passing cargo trains and measure and detect critical situations. This project involves the exploitation of high speed sensors (up to 18000Hz), both linear and matrix, in the visible spectrum and thermal spectrum in order to measure critical factors in passing cargo trains. 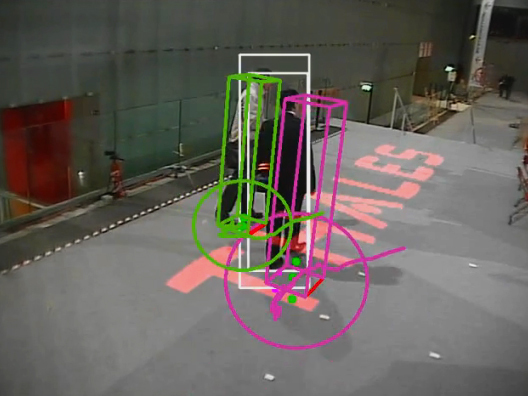 The matrix sensor (640×480 pixels @ 300Hz) works in the visible spectrum and is used to detect the train pantograph in order to avoid false-alarm in the shape analysis system. 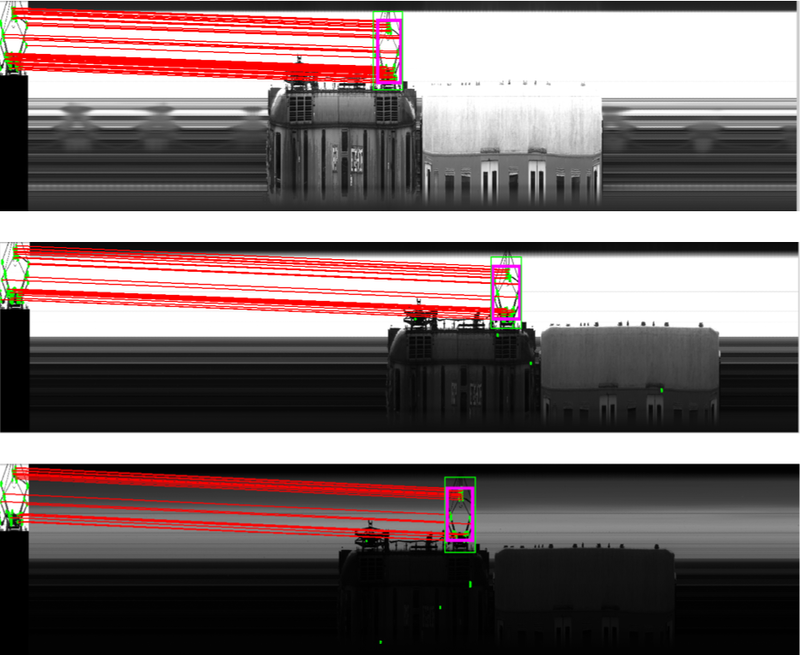 Two linear cameras (4096×1 pixels @ 18500Hz) are used to observe the profile of train and stitch a complete image of the train seen laterally. These images can then be used to extract the identifier of each wagon. Finally, two thermal cameras (256×1 pixels @512Hz) are used to segment train temperature and compute maximum and average temperature over a grid of sub-regions. SISSI: train safety from MICC on Vimeo. This entry was posted in Institutional projects, Intelligent videosurveillance, Projects and tagged computer vision, detection, sensors, thermal cameras, train on February 26, 2014 by admin. MICC, Media Integration and Communication Center of the University of Florence, and Thales Italy have established a partnership to create a joint laboratory between university and company in order to research and develop innovative solutions per safety, sensitive sites, critical infrastructure and transport. 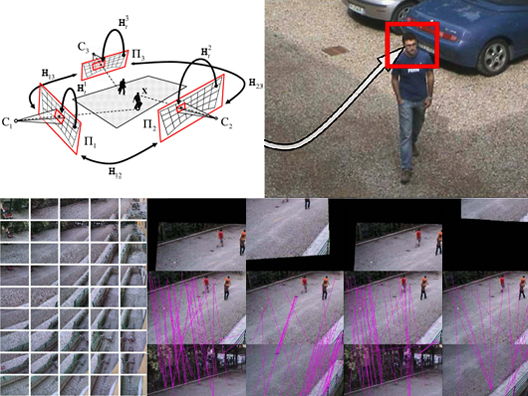 In particular the technology program is mainly focused (but not limited) on surveillance through video analysis, employing computer vision and pattern recognition technologies. A current active filed of research, continued from 2009 to 2011 was that of studying how to increase the effectiveness of classic video surveillance systems using active sensors (Pan Tilt Zoom cameras) and obtain higher resolution images of tracked targets. The collaboration allowed to start studying the inherent complexities of PTZ camera setting and algorithms for target tracking and was focused on the study and verification of a set of basic video analysis functionalities. In 2011 the joint lab led to two important demos at two main events: Festival della Creatività, October 2010 in Florence (Italy) and Thales Technoday 2011 in January 2011 in Paris (France). In the latter the PTZ Tracker has been nominated as VIP Demo (Very ImPortant Demo). This entry was posted in Intelligent videosurveillance, Projects, Transfer projects and tagged computer vision, pattern recognition, ptz-camera, tracking, visual tracker on April 4, 2011 by admin.